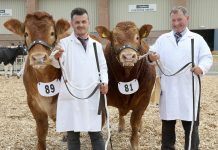 A 22,000gns top call and three further five figure bids were the significant highlights of the dispersal of the Ironstone herd of pedigree Limousins on behalf of Messrs Smiths of Bloxham, Newlands Farm, Bloxham, Banbury at Newark on Saturday (19 May). 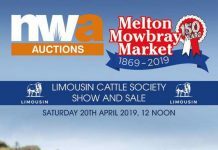 The sale brought to an end some forty years of breeding Limousins for this noted herd. 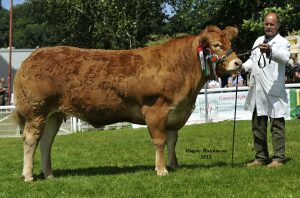 Fittingly and leading the trade was one of the herd’s most famous cows, Ironstone Dumandy, a former double interbreed winner at the Royal Welsh Show and prolific winner of various major shows around the United Kingdom. Bred from Bailea Umandy, a Requin daughter, she is by the herd’s former stock bull in the shape of Wilodge Vantastic and was sol with a Procters Commander-sired heifer calf, Ironstone Olivia, at foot. 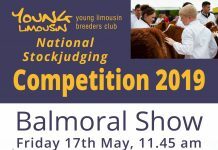 Purchasing the top lot was Robert Graham for his Grahams herd, at Airthrey Kerse, Bridge Of Allan, Stirling. Early in the sale Mr. Graham also purchased Bailea Umelia for 7000gns. This 2003-born cow, bred by MT Jones, Sennybrdige, is another sired by Requin and is out of Bailea Melia, an Imposant daughter. 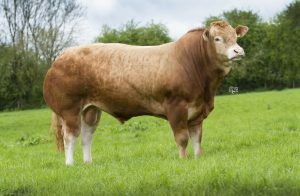 She was sold as having run with the herd’s stock bull Ballinloan Jericho. 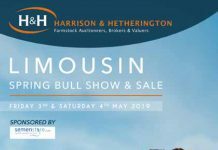 Selling at 18,000gns was one of the herd’s current stock bulls, Ballinloan Jericho, a 2014-born son of Ampertaine Foreman out of Ballinloan Beauty, an Anside Struss daughter. 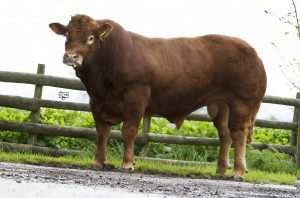 This bull which featured in the catalogue was bought by Kedzlie Farm, Blainsie, Lauderdale for their Swalesmoor herd. 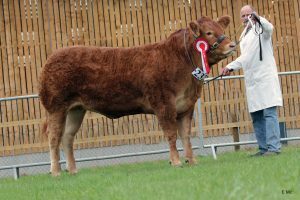 Breeders were picking out the bloodlines on offer and making 17,000gns was Ironstone Lavender, a 2015-born heifer by Wilodge Vantastic and out of the aforementioned Bailea Umelia. Sold PD’d in calf to Ballinloan Jericho this heifer was purchased by Messrs Jenkinson for their Whinfellpark herd at Clifton Moor, Clifton, Penrith, Cumbria. Mr Jenkinson also paid 14,000gns for Ironstone Laura, a full ET sister to the sale topper Ironstone Dumandy. Another that is 2015-born Ironstone Laura sold with her January 2018 bull calf at foot by Ballinloan Jericho, Ironstone Otis. Following that came a 9500gns call for Ironstone Maxine, a 2016-born heifer by Ironstone Gandi. Maxine is out of Greenwell Emelia, a Vagabond daughter out of the noted Greenwell Amy. This heifer was the pick of H G Perkins and son, Radstock, Bath. 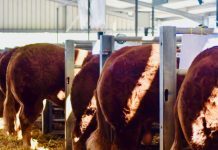 Kedzlie Farms were back in action when paying 8000gns for Ironstone Lumelia, a Procters Commander daughter out of the Requin daughter Bailea Umelia. She was sold having run with Ballinloan Jericho. 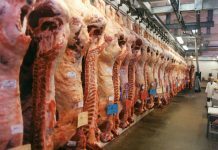 Two animals sold at 6000gns. The first of these Brockhurst Batik, bred by Doug Mash, Bucks, is a Grahams Samson daughter out of the noted Ronick McAinsi, herself a Talent daughter. This 2006-born cow, a title winner at the Royal Highland and Royal Shows was sold with a bull calf at foot, Ironstone Oliver, by Ironstone Gandi. The other at 6000gns was Ironstone MrMagoo, a Glenrock Fandango son out of the sale topping Ironstone Dumandy. This young bull was another purchased by Kedzlie Farms. A brace then also sold at 5500gns, with the first of these being Ironstone Lady, a Gorrycam Diarra daughter and another out of Greenwell Emelia. 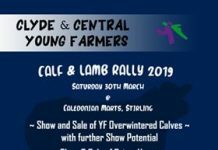 She sold with her first calf at foot, Ironstone Nathan, a Ballinloan Jerricho son and having run with Ironstone Leonardo. This one headed home with G J Morris, Llanstephan, Carmarthenshire. The other at this level was Ironstone Lindy, again out of Greenwell Emelia and by Ironstone Gandi. This heifer was another purchase by H G Perkins and Son, Radstock, Bath. 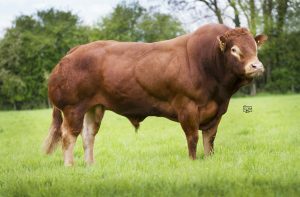 A 4800gns call secured Ironstone Marquis, a November 2016-born son of Ballinloan Jericho out of Ironstone Inspiration, an Ironstone Executive daughter. This bull was knocked down to J J Turner, Ashbourne, Derbyshire. Two animals followed at 4500gns. The first of these was Greenwell Emelia, the dam of animals sold at 9500gns and 5500gns on the day. She is by Vagabond and out of the previously mentioned Greenwell Amy, a Tanin daughter. Greenwell Emelia was sold as having run with Ironstone Leonardo. Buying her was Ian Davidson for his Ballyrickard herd at Larne, Co Antrim. The other to make this money was Ironstone Marmaduke, a young bull by Ballinloan Jericho and out of Ironstone Intrigue, a Mas Du Clo daughter. He sold to Dancer Bros, Loxley, Warwickshire. 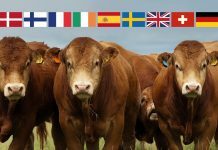 47 cows and calves £3323.48.